During the month of November, participating CFSC stores are giving back to our communities and honoring our veteran heroes by celebrating and supporting them through a nationwide donation campaign with Hope For The Warriors. All veterans can enjoy a special discount from November 11th through November 30th at our participating CFSC locations. 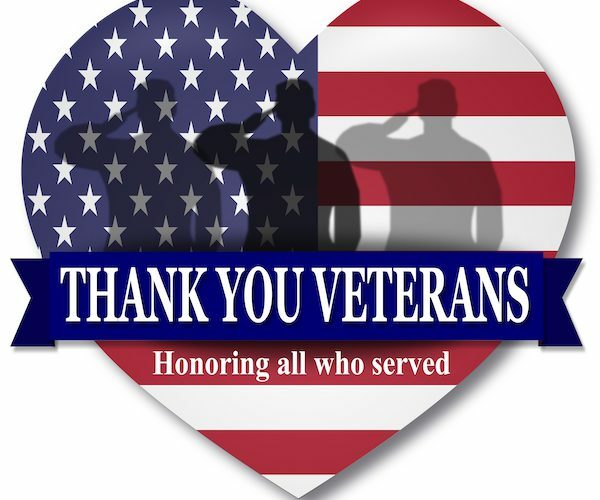 Any veteran stopping by to cash a check will automatically receive up to $5.00 off a check cashing fee. Just show your military ID. CFSC will honor one check cashing discount to a veteran up to $5.00 from November 11th – November 30th. Veterans are awarded with 50 Bonus Points when they sign up² for MY WU® program from Western Union when sending money exclusively from CFSC locations during 11/11/18 — 11/30/18 worth a $4.00 transfer fee** reduction on a future transaction at an agent location. Customers that make donations through CFSC store locations to benefit Hope For The Warriors will get their name displayed on a badge in the store. Stop by and donate to this wonderful cause in November! If you’d like to make a donation, click on “Donate Today”. Founded in 2006, Hope For The Warriors is a national nonprofit dedicated to restoring a sense of self, family and hope for post 9/11 veterans, service members and military families. Since its inception, Hope For The Warriors has served more than 19,000 through a variety of support programs focused on clinical health and wellness, sports and recreation and transition. The nonprofit’s first program, A Warrior’s Wish, has granted more than 180 wishes to fulfill a desire for a better quality of life or support a quest for gratifying endeavors. In addition, Run For The Warriors has captured the hearts of more than 23,500 since 2010. To find out more information on the incredible impacts Hope For The Warriors is making for our veterans, service members and their families, visit their website or check them out on Facebook, Twitter or Instagram. ** Western Union also makes money from currency exchange. When choosing a money transmitter, carefully compare both transfer fees and exchange rates. Fees, foreign exchange rates, and taxes may vary by brand, channel, and location based on a number of factors. Fees and rates subject to change without notice. Transfer fee reductions apply only to the Western Union® transfer fee for a single Western Union Money Transfer® or Quick Collect® transaction. Excludes all other services, including without limitation, online bill payments and money transfers via social/chat applications. Western Union reserves the right to offer promotional discounts that cannot be combined with My WU fee reductions. ² My WU enrollment requires a valid e-mail address. Allow up to 8 weeks for bonus points to appear in your My WU balance. Western Union Financial Services, Inc., NMLS #906983, is LICENSED BY THE GEORGIA DEPARTMENT OF BANKING AND FINANCE and Licensed as a Money Transmitter by the New York State Department of Financial Service.